The Easiest ways to Make your website popular | ODosta Inc. I have summed up some of the easiest ways to make your website popular with my blogging experience and by the help of these ways, you’ll be able to make your way towards fame. These ways will help your website be friendly to SEO and readers. Bluehost is the No.1 web hosting server which provides speed, free domain name, %99.99 website uptime, anytime cash refund. It serves more than 30,000,00 websites from all over the world. more information can be collected from http://www.bluehost.com. Bluehost only costs $3.49/month. well this is a fair deal isn’t? it also gives 30% discount on a secret code. interested ones can mail me hussainmuhammad2002.553@gmail.com to get the code. Quality and original posts attract the visitors on your website as compared to normal websites with copied content. Make sure you have original content on your website. Google itself values original and high quality content and may put it into search engines because of your writing skills. You should first make up a mind what are you good at? computers? cars? business tips? health? Science? I personally recommend you to write blogs on what you’re good at so you won’t have to study your topic for long. When starting , you should select a hot topic that should relate your topic and be very much attracting. Your articles should be very specific on the topic you presented. you arguments on points should make the topic very clear at the very end. This is the key to fame. Your argument on a topic should be based on facts. Don’t forget to add proper density of keywords in your topic. placing images and subtopics regarding the topic might make it look interesting. It surely is very obvious that an elegant website attracts viewers more as compared to a normal template-designed website. Your website should look generally beautiful and should be well categorized so that viewers don’t feel any difficulty to access information on your website. website templates can be downloaded from wordpress.org but if you are willing to add premium website templates to your website, you need to have cash in your pocket as it requires some difficult languages and untiring efforts to create a premium website template. If you want free elegant themes, you can access it for free at mojotemplates.com and elegantthemes.com. Well, whenever you make a website, make sure you have places to give shout outs to your website! Like make a facebook page and keep sharing some of that stuff from your website. put some interesting stuff so that people get more eager to visit your website. Secondly, when you make a facebook page, make sure you don’t break the suspension, like post half posts and tell them that full post is available on this website or just paste the link from your website so that the viewer directs lands to your website. Similarly, twitter can also be used for promoting your site. Search engine optimization is, However one of the most crucial factors to increase website ranking in search engine but as a beginner you can optimize it to friendly to make your website popular. For making your website popular, you have to first put your website into search engine and insert suitable links,description,tags,meta tags etc. Your website’s hosting and beauty also effects on the SEO so make sure that you maintain your website properly and and select a trusted web hosting site. Bluehost and another hosting websites’ payment methods are not easy for people in Pakistan. However some people can use it through some tips and tricks. 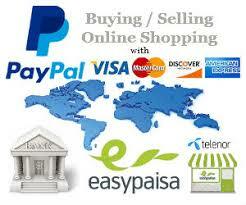 If you want bluehost as your website so check my article how to verify paypal through payoneer mastercard. that will help you to pay for the web hosting site. Otherwise another alternative is there known as uperhost.com which accepts bank transfers too.